Academy Awards Best Supporting Actress Lupita Nyong'o latergrammed herself wearing a Lupita headband, and she's totally rocking it. 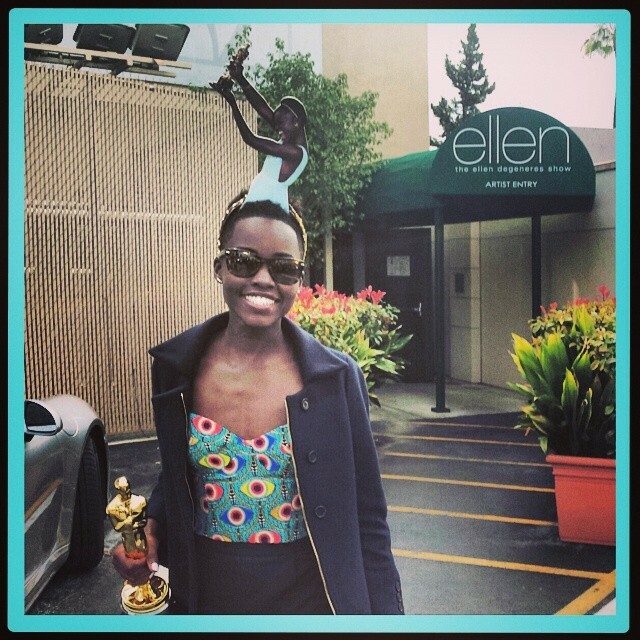 A photo of her holding the Oscar statuette is mounted on the headband Ellen De Generes (the 2014 Oscars host) gave to her. Post-Oscars win, the actress guested on The Ellen Show where the host handed her the gift.